items of furniture in this collection by Daisuke Motogi Architecture are shaped so that they can still be used when flipped upside-down (+ slideshow). 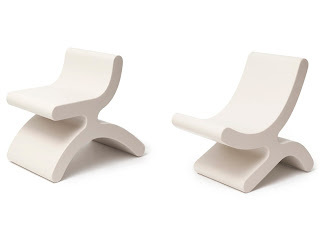 Extra legs protrude from the backrest of the Flip chair by Daisuke Motogi Architecture so it can be toppled backwards to make a lower lounge seat (above). 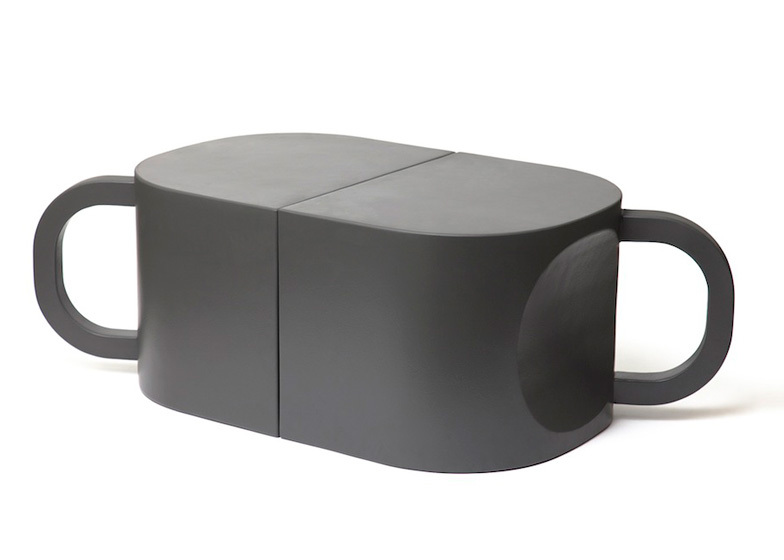 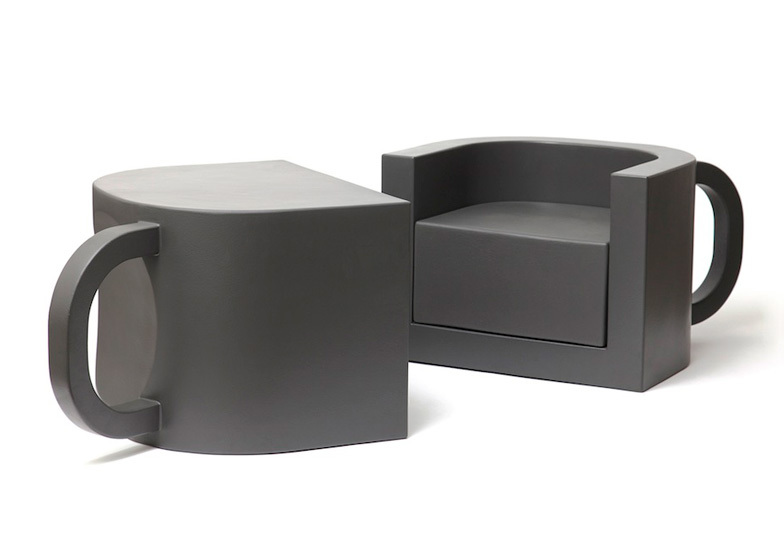 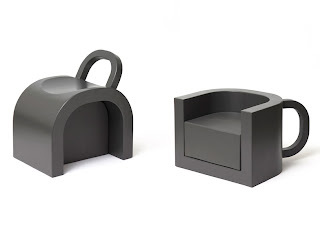 A coffee-cup-shaped piece functions as an armchair when upright, but when turned on its side the handle becomes a backrest for a stool and when flipped over it transforms into a coffee table. 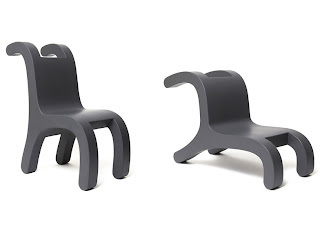 Turning over the stool with the curved back reveals a lower chair with a longer seat and backrest (above), while the rocking chair becomes a stable seat when overturned (below). 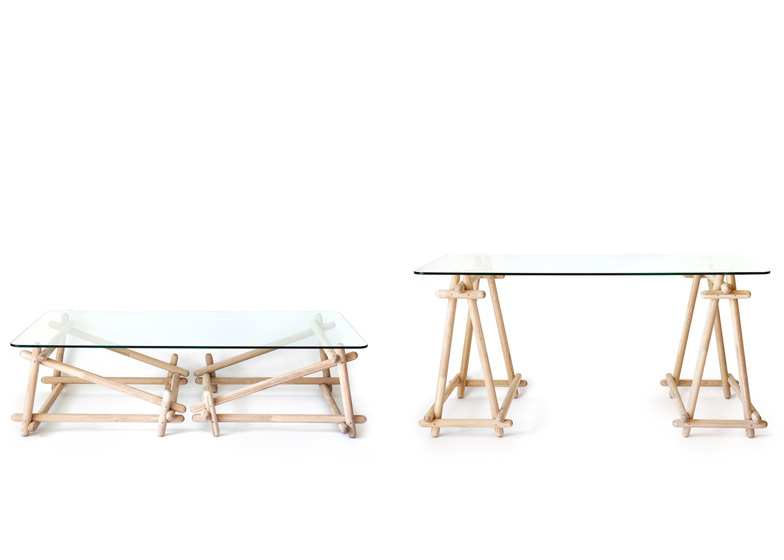 The Flip Series also includes a table with a glass top supported by wooden frames. 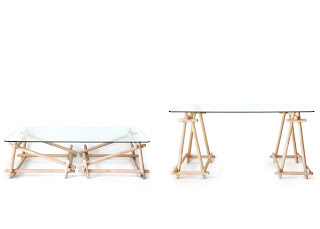 These frames can either be stood upright or rested on their sides, creating two possible surface heights (below). 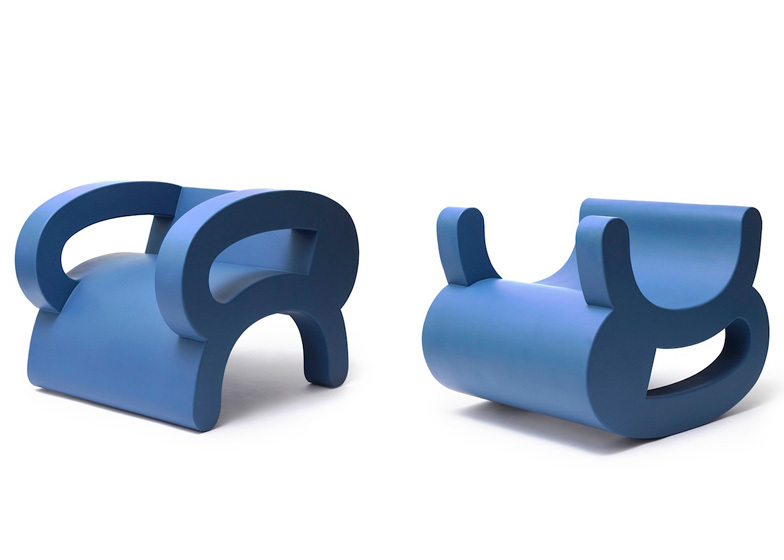 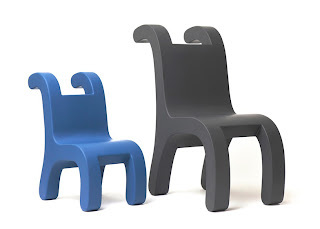 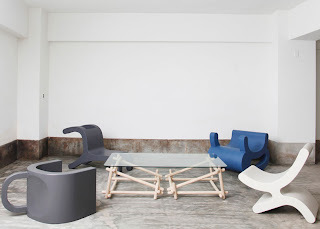 Sixinch Japan, an offshoot of Belgian brand Sixinch, originally exhibited prototypes of the furniture at Designtide 2011 in Tokyo last month but has now put the table, coffee cup chair and a kid’s version of the Flip chair into production.